Aside from being one of the most populated countries in the world, India is also the home to the world’s richest industrialists. Because the real estate in the country is booming, these tycoons are investing some of their fortunes on homes and real estate properties. 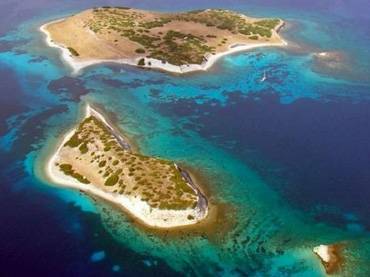 These properties are very expensive, and these tycoons paid premium to turn them into their private residences. People may complain that it is unfair for the rich to enjoy such extravagance, but it’s their money, so who are we to judge them? In this list, we bring you ten luxurious homes with price tags to match them. These homes are in the country’s poshest areas. 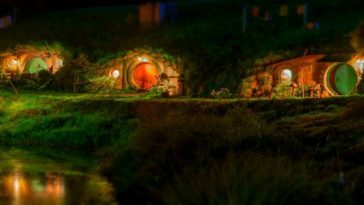 Feast your eyes on these kingdom-like residences. 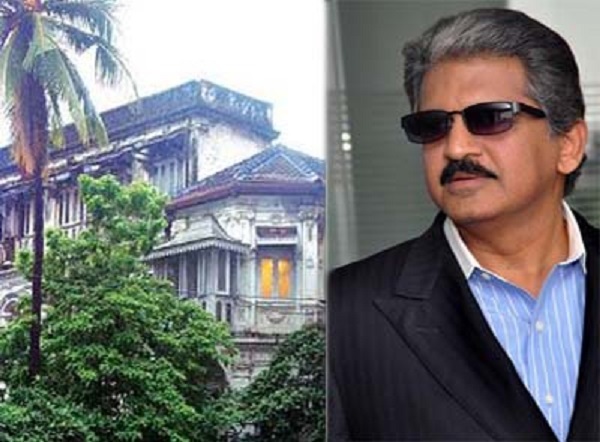 Rumors have it that a bungalow that Anand Mahindra was renting was about to be demolished by the Rishi Gagan Trust-Orbit Corp. The owners wanted to revamp the area, and they asked Mahindra to vacate the property as soon as possible. The founder and CEO of the Mahindra Group did not want to vacate the 13,000 ft2 property, so as what rich men tend to do, Mahindra negotiated and successfully bought the property for a sky-high price of 270 crores (1 crore is equivalent to about US$ 160,000). Nariman Point in Mumbai is the home to the most expensive houses in the city. 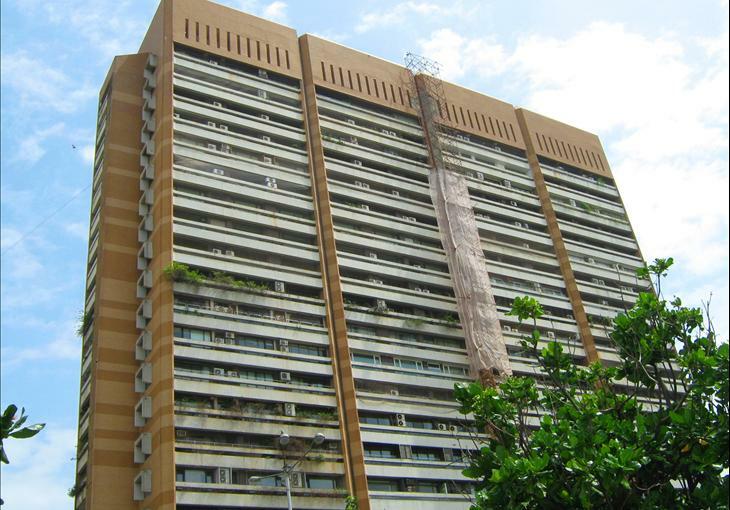 The NCPA Apartments in the Nariman Point sells a unit for an average of 30 crores. The tower faces the sea, making the flats one of the most coveted in the area. Each flat can be purchased for 85,000 rupees (US$ 1,329.060 per square feet). Of course, the price of the apartments depends on how the real estate industry is doing. When it is thriving, a flat in the NCPA Apartments can be sold for more than 35 crores. Ratan Tata is one of the richest men in India, and his house is only one of the many proofs of his overwhelming wealth. 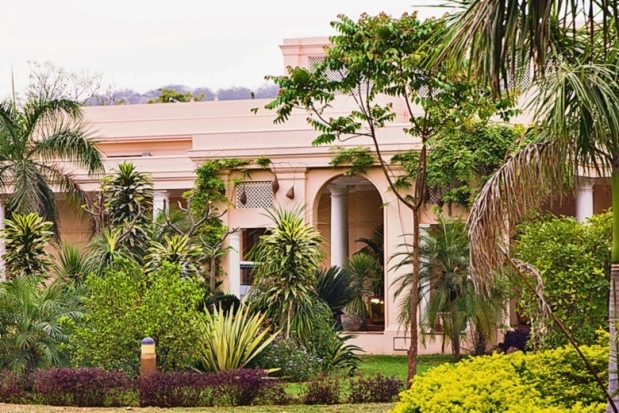 Tata owns a colossal house that is valued at around 125 crores. The luxurious house is built in the Colaba region in Mumbai. 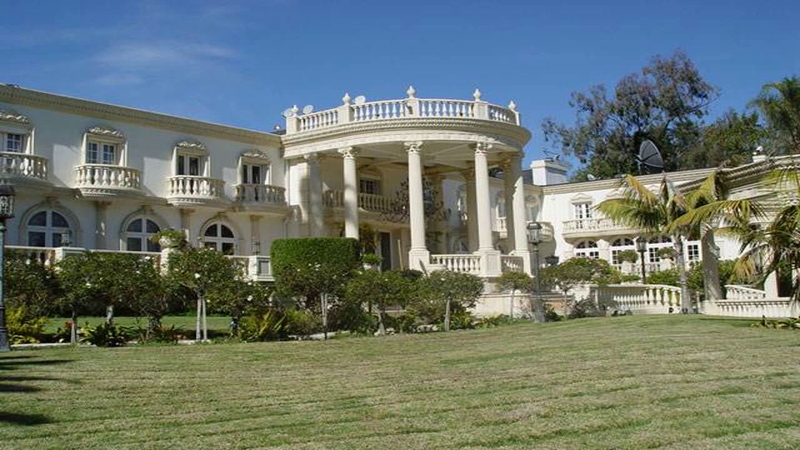 The mansion sits in a 13,350 ft2 property that faces the sea. The Cabins at Colaba is designed to reflect a modern and minimalist style. 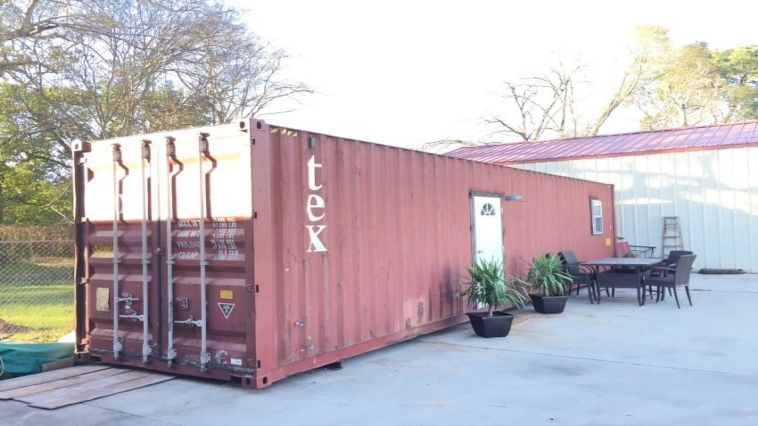 It has three floors with each floor constructed to be a duplex. Each floor has its own living room and bedrooms. The residence also features a gymnasium, a spacious lobby, a swimming pool and a sun deck. 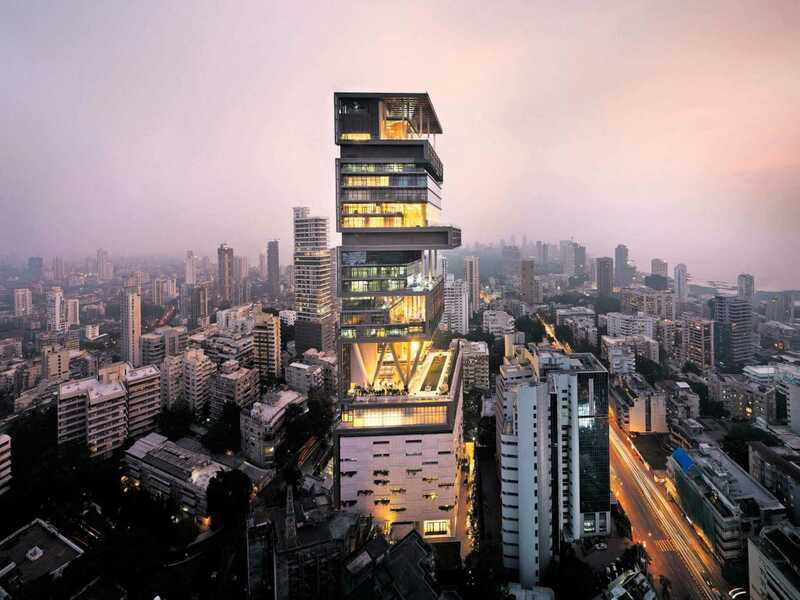 JK House stands at 145 m, and it is located near Mukesh Ambani‘s residence. The expensive home is located in Mumbai’s Breach Candy region. The building is owned by Gautam Singhania, the man behind the Raymond Group. The house has one story solely dedicated to be a museum to display Singhania’s jade collection. 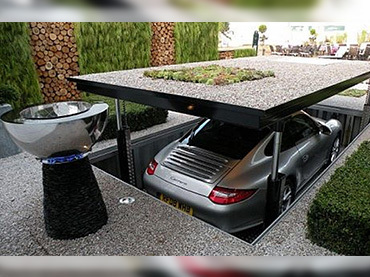 Five floors serve as a garage for the owner’s car collection. The extravagant residence offers a spectacular view of Mumbai in the upper levels. It also features a helipad, spas, entertainment spaces, and gymnasium. 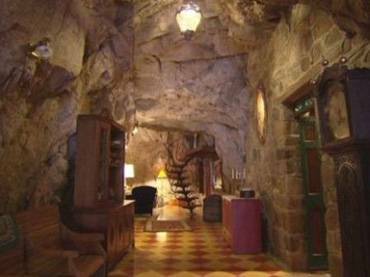 This residence is dubbed as the costliest home in the world. It has twenty-seven floors and features an amazing four-floor garden and a helipad. The building is located in South Mumbai and is owned by Mukesh Ambani, the chairperson of Reliance Industries Limited. Antilia is so enormous that more than 500 people are required to take care of it. Leafy Lutyens Bungalow Zone in Delhi is the home of India’s richest such as Lakshmi Narayan Mittal, K. P. Singh, Sunil Mittal, and Naveen Jindal. Jindal is a renowned industrialist. His house is estimated to be 150 crores in value. The heritage house occupies a 3-acre property. Mukesh Ambani’s brother Anil didn’t want to be outshone by his sibling, so he built his own extravagant residence. He named his building Abode, and it is one of the costliest in India. It has a value of more than 5,000 crores. 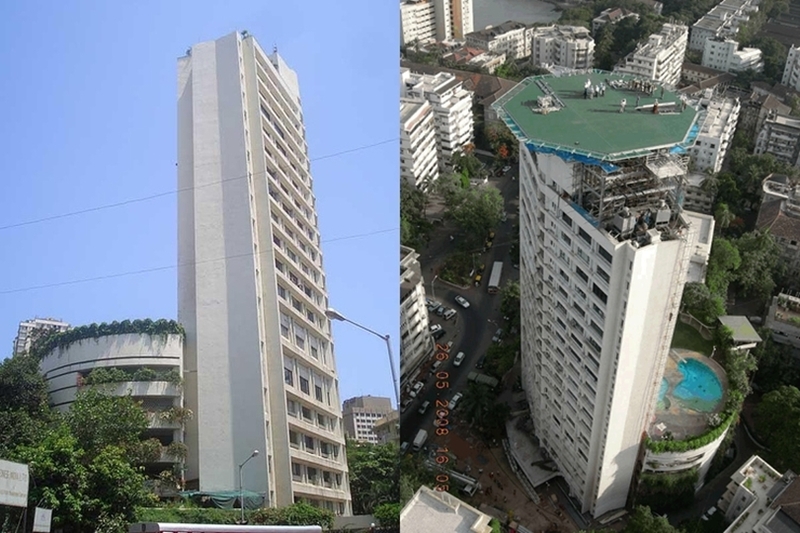 The tower is currently under construction on Pali Hill, Bandra District, Mumbai. Rana Kapoor is the founding chairman of YES Bank and is one of the richest men in India. 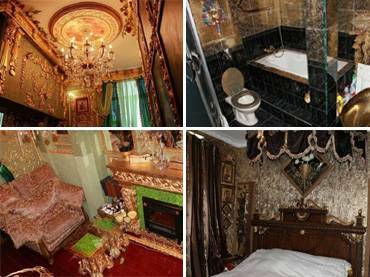 He owns a palatial house in Mumbai’s Tony Altamont Road. 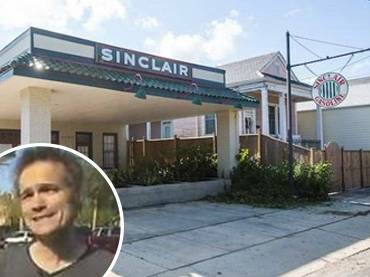 The property once belonged to GlaxoSmithKline and Citibank. 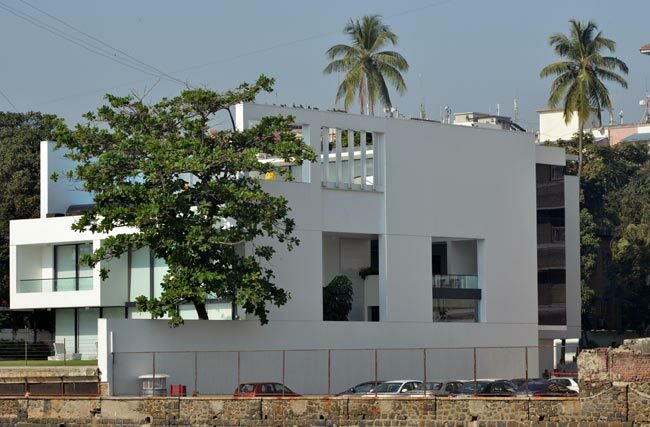 Kapoor purchased the property under his wife’s name for Rs 128 crores. The residence is spread across 14,800 ft2. 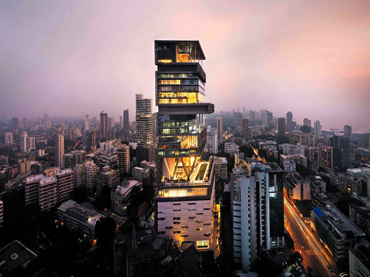 The two-story residence is located next to Ambani’s Antilia. Famous Bollywood actor Shahrukh Khan‘s house is estimated to be worth 200 crores. The actor’s home resembled a palace with its neoclassical and elaborate details styles. 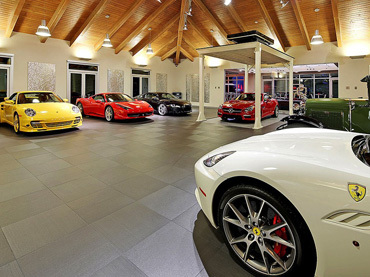 The actor displays his collections inside the Mannat. His collection includes artifacts from tours around the world, M. F. Hussain‘s paintings, and rich tapestry-style furnishings. This penthouse is owned by Vijay Mallya, the owner of Kingfisher Airlines. The penthouse is located at the top floor of UB City’s Kingfisher Towers in Bangalore. 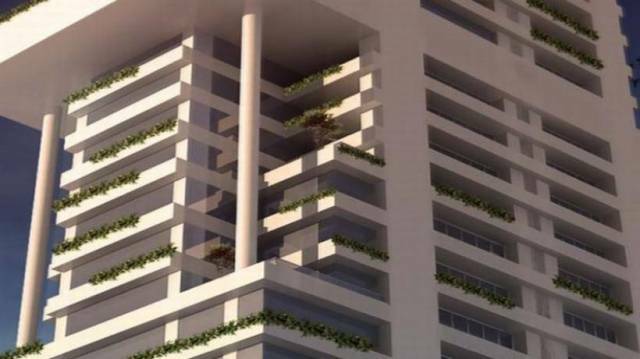 The building has eighty-two apartments, and ten are meant for Mallya’s family, while the rest are for sale. The duplex White House Sky features a spa, a salon, outdoor and indoor swimming pools, a wine bar, and a helipad. The penthouse is spread over 40,000 ft2 area that can be accessed through private foyers and elevators. The opulent resident cost Mallya more than Rs 100 crores.